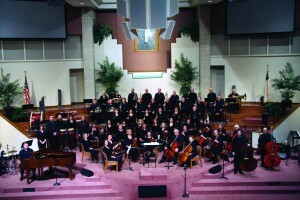 The Oklahoma Baptist Symphony, shown at a concert in 2012, celebrates its 20th anniversary May 4. The heart of the Oklahoma Baptist Symphony (OBS) first began to beat with the first wave of the baton in rehearsal by Jon Duncan, music department associate of the Baptist General Convention of Oklahoma (BGCO) on Aug. 20, 1993. The then-60-member OBS launched its inaugural season with a Sun., Oct. 17, 1993 concert at Oklahoma City, Quail Springs. “This is history in the making,” Bill Green, BGCO church music department director, told the musicians at an organizational rehearsal. Now, two decades later, “Amazing Grace” will be the theme of an evening of worship beginning at 6 p.m., May 4 at Oklahoma City, Southern Hills, 8601 S. Pennsylvania Ave., celebrating 20 years of musical excellence with the OBS. “We invite all Oklahoma Baptists to join us as we celebrate the establishment of a rich tradition in instrumental worship and God’s amazing grace,” said current conductor Michael Raiber. The OBS is comprised of volunteers from every walk of life and from every corner of Oklahoma. Each member desires to praise God through the musical skills he or she has been blessed to receive. The year 2001 was significant for the OBS, which was the first state Baptist orchestra to open the Church Music Leadership Conference at the Lifeway Glorieta Conference Center in Glorieta, N.M. on July 14 with a concert. 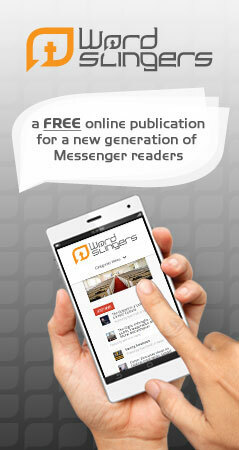 Some 1,500-2,000 people heard about 60 members of the OBS present a full, 75-minute program. In addition to the concert Saturday evening, a banquet luncheon earlier that day will honor current and former members of the Symphony and their families. As part of the festivities, all of the former directors of the OBS will be in attendance at the concert, and lead the group at some point during the evening. In addition to Duncan and Raiber, former conductors include Bill Green, retired associate executive director of the BGCO; Keith Haygood, minister of music at Edmond, First; and Ken Gabrielse, dean and professor of music, Warren M. Angell College of Fine Arts at Oklahoma Baptist University. 1 Hallelujah! Praise God in His sanctuary. Praise Him in His mighty heavens. 2 Praise Him for His powerful acts; praise Him for His abundant greatness. 3 Praise Him with trumpet blast; praise Him with harp and lyre. 4 Praise Him with tambourine and dance; praise Him with flute and strings. 5 Praise Him with resounding cymbals; praise Him with clashing cymbals. For more information about the 20th Anniversary Concert May 4, contact [email protected] or visit www.bgco.org/obs.